This is the dry red stemless chillies aka Dundicut. The color is bright red to maroon. Taste and flavor is very hot and spicy. The origin is Pakistan and scientific name is Capsicum frutescens. 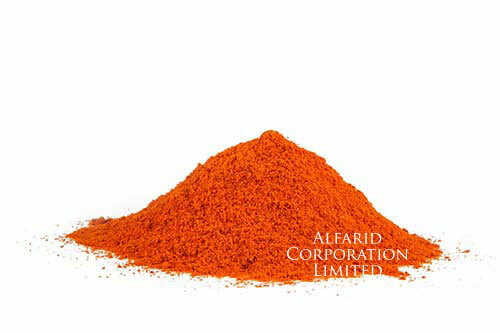 It is primarily used in seasoning, flavoring and marinades. 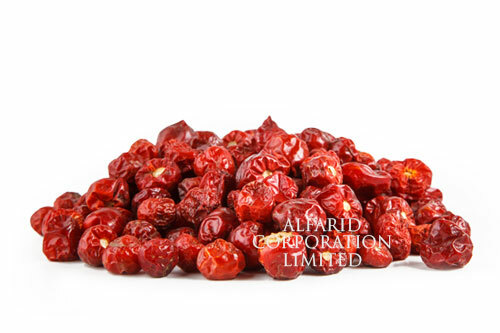 Dry red chili is a rich source of vitamin C and it has positive effect on blood cholesterol. Dry red chilies are ground into fine mesh powder. Red chili powder is very hot in taste and flavor. It is bright red in color. Chilli is high in vitamin C and is primarily used for culinary uses such as seasoning in curries and flavoring in various cuisines. It originates in Pakistan and scientific name is Capsicum frutescens. Cumin seed is a naturally aromatic spice. The color is light yellowish brown. 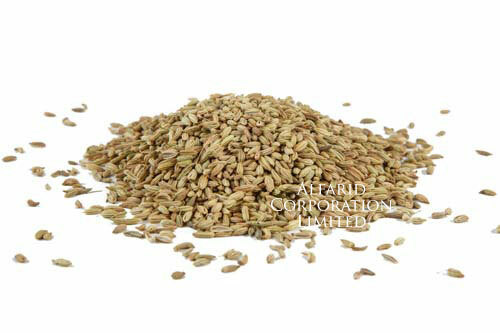 It originates in Pakistan and the scientific name is Cuminumcyminum L. Common names are Cumin, Jeera, Zeera. It is commonly used in seasoning and flavor, while it has uses in extract and pharmaceutical. Cumin is a rich source of iron. It helps in treating piles and insomnia and serves as stimulant and astringent. It also aides in digestion. 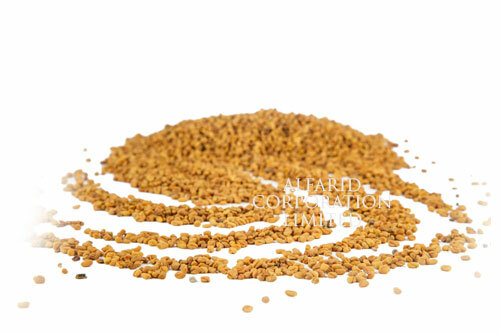 Fenugreek seeds are yellow to mustard in color, seemingly hard on the surface. The origin is Pakistan and the scientific name is Trigonellafaenumgrecum. It is locally Methi Dana. 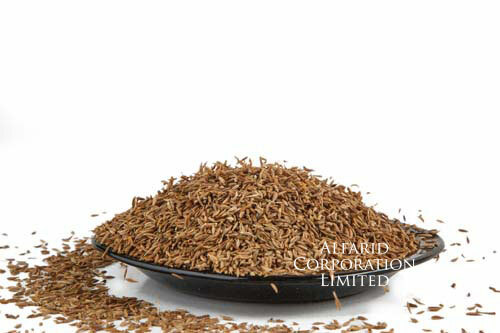 It is used in seasoning, tea, extract and pharmaceutical. Fenugreek is rich in dietary and helps in lowering blood cholesterol. It also serves as a cleanser and soothing agent. 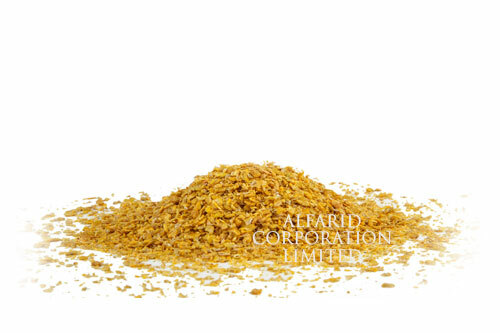 Fenugreek seeds are cracked into crushed flakes. These are yellow to mustard in color. The scientific name is Trigonella faenumgrecum. It originates in Pakistan and common name is methi dana. It is used in pharmaceutical and producing tea and extract. It helps in lowering blood cholesterol and serves as a cleanser. Fennel is a naturally aromatic spice. The color is light yellowish to brown. The scientific name is Foeniculum vulgare Miller. It originates in Pakistan and is locally called Saunf. 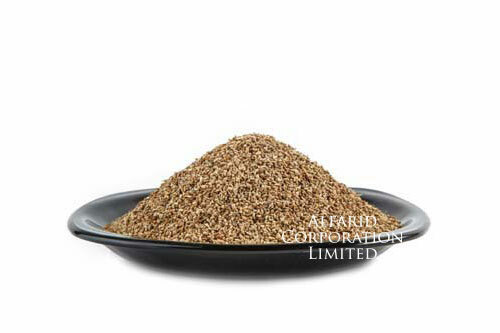 It is used in seasoning, baking, extract, flavor and in pharmaceutical. Fennel is rich in fiber, vitamin C, volatile oils, iron, potassium. It serves as an antioxidant and aids in digestion. Bishopweed is a dried seed, dark brown to black in color. It originates in Pakistan and its scientific name is Trachyspermum amoni (L.) Sprague. The common names are Ajwain and Bay Leaves. It is used in seasoning and flavor, essential oil, extract and pharmaceutical. It helps in treating cold, migraine and diarrhea. Bishop weed also serves as a stimulant, antioxidant and aids in digestion.